Diffusion explores a number of innovative ways to approach learning and engagement around the exhibition programme, developing a series of collaborative, interactive and crowd-sourced creative initiatives that will allow visitors to actively engage with the festival. An online platform dedicated to broadcasting a number of cross-festival events, happenings, debates, installations, interviews and comments will provide coverage of the festival, and a series of strategies will give participants the ability to interrogate and explore the meaning and thinking behind the work that’s being presented. There will be plenty of opportunities to get involved in the action and our Live Guides stationed throughout the city will be on-hand to answer your questions and hear your views. Our Education team can devise a purpose built introduction to Diffusion Festival tailored to meet the needs of your group. You will be met at each venue for a guided tour of the exhibition and discussion. We will also assist in planning your day in Cardiff and travel between venues, and can provide ideas for activities to try out at school. 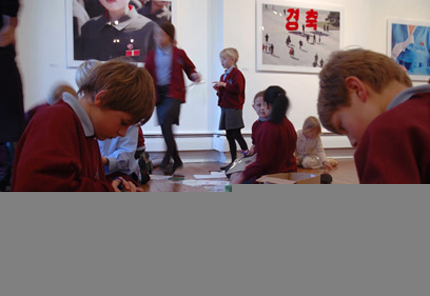 The Diffusion Education Team have developed interpretative print collection packs, ‘20 Questions’, which can be used to prompt creative dialogue and debate about art, photography and the issues raised by the exhibitions. These packs can be used by visitors, schools or college groups in the classroom, and are designed to stimulate discussion for any age, from families to post-graduate groups. These are free to take away for schools, colleges and groups from all festival venues. A selection of photographic and multi-media workshops will be available to download as PDFs, for you to use in the classroom.